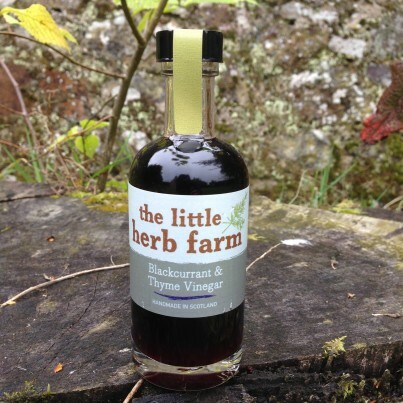 A delicious sweetened fruit vinegar, rich in blackcurrants with a gentle hint of thyme. The intense blackcurrant flavour has to be tasted to be believed! Perfect with venison and duck or add to apple pie filling for a deliciously different dessert! Fabulous under fizz for a twist on a Kir Royale. Ingredients: Blackcurrants, Sugar, White Wine Vinegar, Thyme.